We’d love your help. 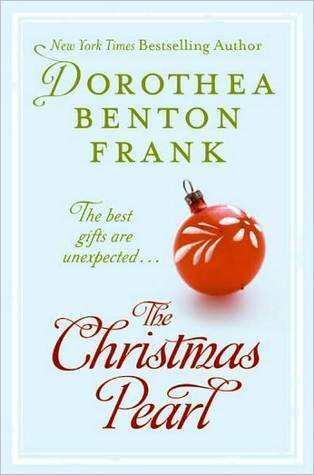 Let us know what’s wrong with this preview of The Christmas Pearl by Dorothea Benton Frank. But this is, after all, a magical time. Someone very special has heard Theodora's plea—and is about to arrive at her door with pockets full of Gullah magic and enough common sense to transform this Christmas into the miracle it's truly meant to be. To ask other readers questions about The Christmas Pearl, please sign up. An easy read, The Christmas Pearl is a traditional, nostalgic trip down the memory lane of Christmas. I liked that it made me reflect on Christmas past, present and future, what Christmas means to me as I age. The main character Theodora, 93 yrs. old, yearns for days gone by when Christmas was home cooked meals, a beautiful creche, a real tree decorated with hand made ornaments, yummy cookies, and the belief that anything, "anything" at all was possible. 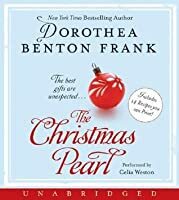 Theodora is to spend this Christmas with An easy read, The Christmas Pearl is a traditional, nostalgic trip down the memory lane of Christmas. I liked that it made me reflect on Christmas past, present and future, what Christmas means to me as I age. The main character Theodora, 93 yrs. old, yearns for days gone by when Christmas was home cooked meals, a beautiful creche, a real tree decorated with hand made ornaments, yummy cookies, and the belief that anything, "anything" at all was possible. Theodora is to spend this Christmas with her "darling daughter and family" whose idea of celebration is far from her expectations. "Who cared what an old lady thought?" But maybe, just maybe something magical will happen and Theodora will get her wish for a Christmas like the old days. Theodora's description of setting up the creche made the book for me. This is a protestant household but the creche was given to her family by a Catholic friend. It was a reminder of the what Christmas is about. "On Christmas morning we added the Baby Jesus, the shepherds that night, and then we took them away at the beginning of January when the kings arrived. The shepherds had to go back to work didn't they?" Not my cuppa! Maybe if I was 93 years old I would have enjoyed it! Narrator was good, language describing past Christmases was beautiful. Book concept was horribly flawed. The fantasy was not the 'Christmas miracle'...the fantasy is that the family's black cook and housekeeper, who had spent her life serving her employers, would need to 'earn her wings' some 80 years after her death by coming back and doing more cooking and cleaning. It never occurs to the 93 year old narrator, or the author, apparently, that Pearl would have family or loved ones of her own who Narrator was good, language describing past Christmases was beautiful. Book concept was horribly flawed. The fantasy was not the 'Christmas miracle'...the fantasy is that the family's black cook and housekeeper, who had spent her life serving her employers, would need to 'earn her wings' some 80 years after her death by coming back and doing more cooking and cleaning. It never occurs to the 93 year old narrator, or the author, apparently, that Pearl would have family or loved ones of her own whose lives might need help, instead she has to fix the spoiled, wealthy, privileged white jerks. The cheating and verbal abuse is somehow subtly blamed on the wives, for not handling their husbands properly. As if the only way to handle someone who cheats and abuses you is not to dump him. And this book is classified by some people as a Romance?? The granddaughter has separated from her husband, takes drugs, and shops obsessively. I could not stand to listen past this (2/3 of the way through the book) but I'm assuming that the black cook is going to magically fix all the problems of the spoiled white jerks between Christmas Eve morning and Christmas Day, by a combination of black wisdom, Gullah magic, and finger snapping angelic miracles. For people who have seen or experienced abuse, drug addiction and other difficulties in life while also being poor, and Not living in a big house where someone else does the cooking and cleaning, it really isn't 'entertaining' to watch rich people's problems being solved for them. A wonderful story of relationships and a great book for the holidays. Such a warm and poignant story for all ages. And the southern recipes, at the back of the book, are an added bonus. A charming book full of forgiveness, restoration, and Christmas magic. While this is not a very long book I thought it was just perfect to get the message across. The message is be kind and understanding towards your family. A typical Christmas read, full of magic and miracles that normally it would be too sweet for my taste, but …it’s Christmas time, so some sugar overload is allowed! 2 stars rounded up because of the festive recipes at the end of the book for mint julep, cheese straws, sands, rum balls, etc. I might even try some this year. A beautiful Christmas story. Great on audio. Pour on the southern cheese... but a cute Christmas story nonetheless. Definitely gave me all the Hallmark Christmas vibes! This Christmas tale rambles on with little focus or direction. Perhaps because it is told from the point of view of a 93-year-old woman, that was the reason. After a slow start, there really wasn’t much more to it. Pearl was a jewel, but there wasn’t enough of her and there was way too much Theodora. Theodora is the elderly matriarch of an old Southern family. She is nostalgic for the Christmas celebrations of her childhood. She fondly remembers the weeks of preparation to decorate, cook, and fashion gifts, all of which just heightened the anticipation. Now her 60-something daughter and son-in-law (Barbara & Cleland) are living with her in the family's Charleston mansion. And their two grown children – Camille and George – have arrived with their families: children Andrew and Teddie, and Theodora is the elderly matriarch of an old Southern family. She is nostalgic for the Christmas celebrations of her childhood. She fondly remembers the weeks of preparation to decorate, cook, and fashion gifts, all of which just heightened the anticipation. Now her 60-something daughter and son-in-law (Barbara & Cleland) are living with her in the family's Charleston mansion. And their two grown children – Camille and George – have arrived with their families: children Andrew and Teddie, and George's third wife, Lynnette. Despite the season all they do is snipe at one another, complain and generally misbehave. Don't they realize this may be Theodora's last Christmas? Can't they put aside their mean-spiritedness and truculent behavior for a few days? Theodora doesn't know how to get the kind of Christmas she wants – the kind that she had with her own grandmother, and her grandmother's housekeeper, Pearl. I did like the messages Dorothea Benton Frank was trying to impart here: a focus on the true meaning of Christmas, the value of family, the meaning behind traditions; but I didn't think she did a good job of imparting those lessons. Even so, I was with the story up until the magic started happening. Theodora just irritated me. By her own account she did little but wring her hands for 60 years over her descendants's bad behavior. She confesses to having failed to help her daughter grow up to be a woman, a mother, a wife, a matriarch. So suddenly, because a ghost of her grandmother's housekeeper arrives, all is going to be perfect? I disliked the family. I didn't relate to the excesses of their lifestyle or way of celebrating, and I didn't believe in their transformation. It was a quick read, and it did make me think of my own family traditions and celebrations, so I give it 2 stars. This was a quick read. It was not a really well written story, but I did enjoy the idea of the story. Theodora is a ninety-something matriarch of a fine southern family. She had become increasingly frustrated with her family and the frustration is growing with each day leading up to Christmas. She finds herself constantly reflecting on and missing the Christmases of her youth. When the family cook has an emergency in her own family, she calls is a substitute to cover Christmas Eve and Christmas This was a quick read. It was not a really well written story, but I did enjoy the idea of the story. Theodora is a ninety-something matriarch of a fine southern family. She had become increasingly frustrated with her family and the frustration is growing with each day leading up to Christmas. She finds herself constantly reflecting on and missing the Christmases of her youth. When the family cook has an emergency in her own family, she calls is a substitute to cover Christmas Eve and Christmas day for her. Theodora is shocked to find out that the fill in is none other than Pearl, the much loved housekeeper of her youth. Pearl has come to earn her wings as she repairs the relationships and traditions of Theodora's family. A short and heartwarming story for the season. Set in the low country of South Carolina Theodora longs for the Christmas of past when preparation, family and food took precedence. Thorough future generations her family has grown and started their own tacky holiday celebrations that frustrate the elderly women. The book starts out nostalgic on 12/23. Then Christmas Eve starts off like the old days with the arrival of her former maid angelic Pearl whose magical gifts transform the house and festivities into a wonderful backdrop until the special punch gets the family telling the truth and lashing out ugly details of what they really think. On Christmas Day daughter Barbara with a new take-charge attitude transforms the family into a caring and loving group while they enjoy the treasured snow that blankets the day. A really enjoyable read with the right mix of nostalgia, tradition, family feuds, magic, spirituality and recipes in the back. Today was my first post-chemo trip to our historic public library. For the last six months, my library visits have been on line only as I borrowed and downloaded books to my Kindle. I picked up The Christmas Pearl to add to my take-home pile, but the joy of being back at the library made me find a seat in the Study Hall and read this book in one sitting. Well worth both the reading time and the time spent simply enjoying the library. This was a short, easy to read, imaginative story that will put you in the Christmas spirit. The characters may remind you of individuals you are acquainted with and how they may react to holiday get-togethers. I highly recommend this book to anyone who enjoys Christmas fiction. Funny and heart-warming. Can you ask for much better? Especially for a holiday book. This may just be my new favorite Christmas story. I listened to the audio version and the narrator was just perfect. SUMMARY: Still spry at ninety-three, Theodora has lived long enough to see her family grow into an insufferable bunch of truculent knuckleheads. Having finally gathered the whole bickering brood together for the holidays at her South Carolina home, the grand matriarch pines wistfully for those extravagant, homey Christmases of her childhood. How she misses the tables groaning with home-cooked goodies, the over-the-top decorations, those long, lovely fireside chats with Pearl, her grandmother's b SUMMARY: Still spry at ninety-three, Theodora has lived long enough to see her family grow into an insufferable bunch of truculent knuckleheads. Having finally gathered the whole bickering brood together for the holidays at her South Carolina home, the grand matriarch pines wistfully for those extravagant, homey Christmases of her childhood. How she misses the tables groaning with home-cooked goodies, the over-the-top decorations, those long, lovely fireside chats with Pearl, her grandmother's beloved housekeeper and closest confidante. These days, where is the love and the joy . . . and the peace? REVIEW: With a touch of Debbie Macomber's three angels, a toss of Dickens' Christmas Carol, and with a hint of "Gullah magic", Frank has put together and wonderful Christmas read. Theodora, the matriarch of the family, at 93 is still living in the family mansion. Her family, including son, daughter, and grandchildren are all a tech oriented, materialistically focused, group who don't begin to love one another but would rather spend their time arguing and carping at one another. Rude, defiant, and uncaring, all are very self-centered. Growing up her best friend had been Pearl, the family housekeeper and cook, who passed several years ago. Now Pearl reappears as an angel with an assignment to straighten this family out to get her wings. Pearl's delightful "Gullah" magic adds a wonderful touch of magic throughout the story. Her personality is strong, forthright and loving which leads Theodora's recalcitrant children to take a deep look at themselves and their attitudes. She is able to turn what could have been a disastrous Christmas in to a Christmas filled with love, joy and care for one another and a true Christmas spirit. FAVORITE QUOTES: "...this small sea of dissatisfied faces bobbing before me like wontons in a bowl of soup, lives of privilege, good health, safety, reasonable intelligence--and what? They didn't have a toothpick of gratitude for all they had been given." "My dear friend, there are so many things that are a waste of time and money in today's world, it would make your head spin. "All anybody in this life wants beyond good health and enough money to live is love and respect. Great book to get you in the Christmas spirit. Wonderful, so detailed in descriptions I could smell and taste and see all the Christmas preparations and meals. The story was fun and something that I would like to see happen in a lot of families. I especially liked the idea that our loved ones that shaved died are only a thought away. Great book. Such a lovely Christmas story told in the Deep South. Christmas is always magical but even more so when Pearl, former cook/housekeeper returns from the beyond to give 93 year old Theodora a Christmas miracle. The story was a little syrupy sweet but why not? It's Christmas! What a fabulous, magical little book. A book that can be read in one afternoon, a book that will warm your heart and soul, a book that will fill you with love and hope. A disfunctional family spends two days together at Christmas. At first they are at each other's throats - as so many other families would be when getting ready for thenig day, then magic fills the air and slowly but surely they find peace, love, harmony and respect for each other. I adored this little book. I love a bit of magica What a fabulous, magical little book. A book that can be read in one afternoon, a book that will warm your heart and soul, a book that will fill you with love and hope. Truly delightful Christmas story about a seriously dysfunctional family who get some supernatural help for their holiday celebration. Thanks to my Goodreads friend Jeanne for recommending this enjoyable little book! What a delightful surprise this little book was! Very Dorothea Benton Frank, but very different from her others. This book is filled with magic and miracles...some heavenly, and some, of the human heart. I read this book in one sitting. I started right after lunch, and ate my supper with the book in one hand. Just did NOT want to put it down! I loved this book. I think it will become one of my Christmas reads each year. A very sweet Christmas story about a squabbling family who experiences a Christmas miracle. Recipes included. I usually never read books in one sitting. My brain works too fast (or so I'd like to think) and I get distracted often while reading any book, long or short. Surprisingly, this was one time when I read a book in one sitting and quite liked it. Theodora is the ninety-three year old matriarch in her family, living in Charleston, South Carolina and she is thoroughly disgusted by her children's lack of attention towards her family home. It's the holidays so her grandchildren and her great-grandchil I usually never read books in one sitting. My brain works too fast (or so I'd like to think) and I get distracted often while reading any book, long or short. Surprisingly, this was one time when I read a book in one sitting and quite liked it. Theodora is the ninety-three year old matriarch in her family, living in Charleston, South Carolina and she is thoroughly disgusted by her children's lack of attention towards her family home. It's the holidays so her grandchildren and her great-grandchildren have come to visit but she is really displeased by how they have all turned out. She blames herself for not ruling her house with an iron fist and for how badly her future generations have turned out. Her only child, Barbara has no say in matters of her family as everyone keeps taking advantage of her nature. Her son-in-law Cleland doesn’t love or even respect her daughter which horrifies her as Theodora was blessed with a loving husband. Her grandchildren George and Camille are bitter rivals who only see the worst in each other and leave no opportunity of insulting the other and their spouses as well. Her great-grandchild Teddie, who was named after her, is a vile child who to bullies her cousin Andrew by calling him names. The only good person in the family is her other great-grandchild Andrew who is simply a darling. She wishes to bring her family together and on Christmas Eve, her wish comes true! A miracle happens and someone visits her home. This person is going to change everything in the family and bring everyone together. This person goes by the name Pearl. Pearl makes all kinds of efforts (which I can’t tell you) and matters initially get worse as everyone blames everyone else and the family Christmas Eve supper is a disaster. Theodora is distraught and she doesn’t even feel like joining her family for Christmas. But on the day of Christmas, her wish really does come true as Pearl works her magic and everyone is so happy they resolve to be better people and eventually Christmas becomes a huge success. Pearl sees things through and leaves while Theodora’s heart bursts with joy on seeing her family turn over a new leaf. The resolutions happened too fast and the story wasn’t that well sketched out. Everything seemed to be a miracle and there wasn’t much explanation to certain things but the essence of the story is that miracles happen and some did happen in this story. It was a short, Christmas book that has gotten me into the Christmas spirit. There was a lot of mention of food and there were some recipes to those dishes as well, which I particularly liked. All in all, this story put me into a happy mood and I really liked the heart of the story.